Our dentist office provides comprehensive pediatric dental care. Parents can spend less time taking off of work and driving across town, because everyone in the family can be seen in the same location. Why is Early Dental Care so Important? Primary (baby) teeth can decay at alarmingly rapid rates. Pinpointing areas of concern at an early stage allows us to avoid more complex treatment later on. Through intervention and preventative techniques, it is possible for your child to enjoy fewer cavities, straighter teeth, and a positive outlook on future trips to the dentist office. Most pediatric medical and dental experts recommend that children see a dentist before their first birthday, or soon after their first tooth erupts (whichever comes first.) Preventative appointments allow us to create a more enjoyable, care-free experience that is free from pain or discomfort. Waiting until a dental emergency when your child is in pain may cause them to associate their dentist with something that’s unenjoyable. Until your child has the dexterity to tie his or her own shoes, parent or caregivers should assist their children when it comes to brushing and flossing their teeth. Encourage your child to try on their own first, and then follow up behind them. Consider setting a timer for two minutes each time they brush. 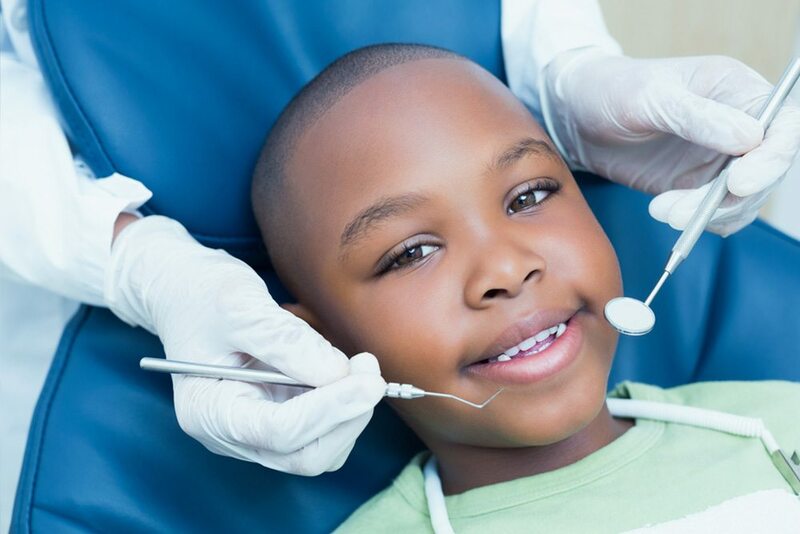 Depending on the age and comfort level of your child, Dr. Brown will perform a quick dental examination to screen for any warning signs or concerns. He will also visit with you to discuss any questions that you may have. If your child is comfortable, we may recommend a preventative cleaning, sealants, or digital x-rays to assess their oral development.